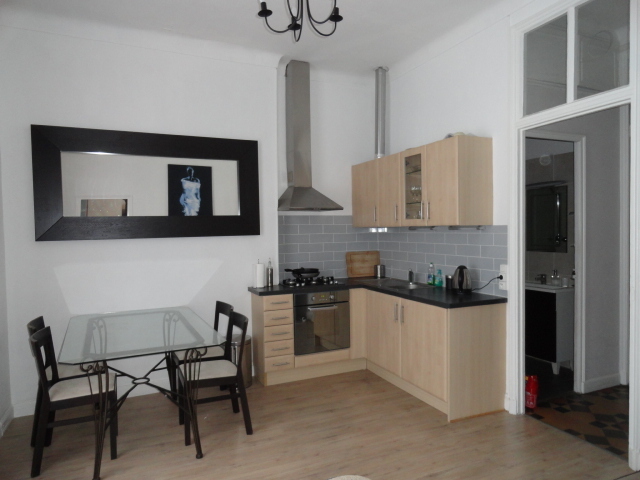 Very well presented 2 bedroom rental accommodation with south facing balcony. 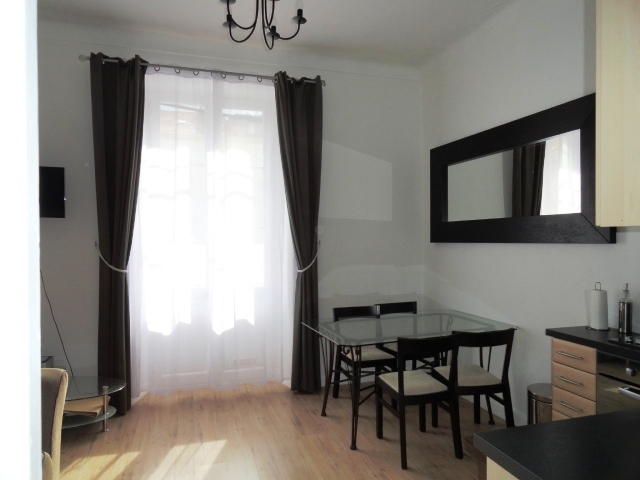 Located in the Cannes, the heart of the old town known as the Suquet, this very well presented 2 bed apartment is ideal accommodation if you are attending one of the many congresses in Cannes. Renovated to a very high standard with high ceilings, the apartment is just a few minutes walk to the Palais des Festival, beaches and bars and restaurants. 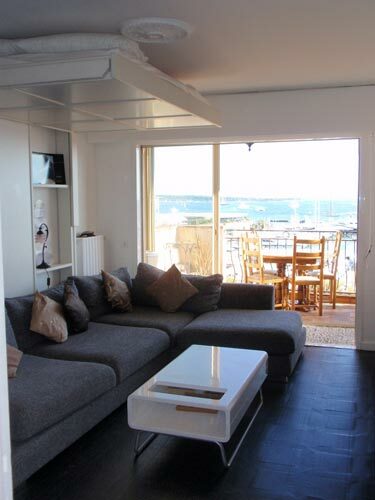 The apartment also has a long south facing balcony and 1 double bed plus 2 singles that can be configured as a double. In a fantastic area a short walk from the famous local food market 'Marché Forville', sandy beaches, the Palais des Festivals, and the Croisette with its luxury boutiques and private beach clubs. 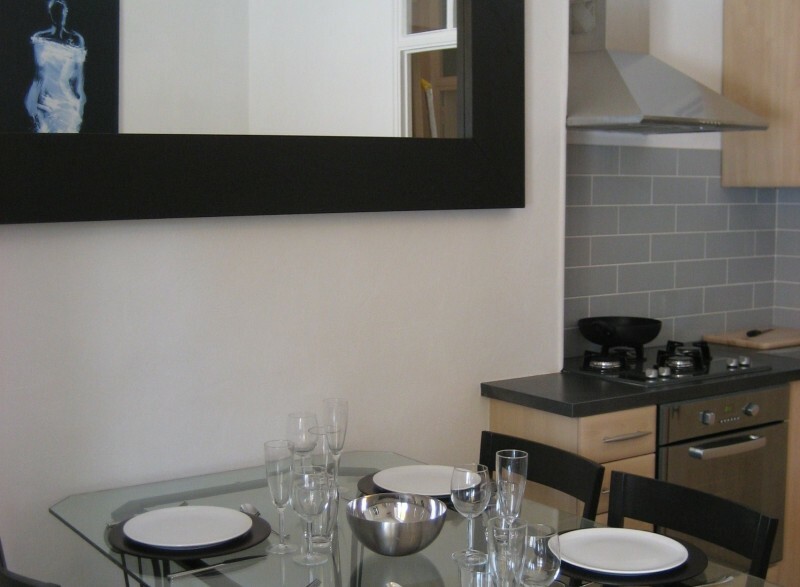 Being in Central Cannes, you have all the amenities the town has to offer within easy reach. For those that enjoy shopping, the nearby Rue d’Antibes & Croisette offers an excellent choice of elegant boutiques. A pleasant walk through the old town brings you to the Marché Forville - a fantastic market selling fresh produce such as locally grown fruit & vegetables, cheese, cold meats and a delicious selection of bread and pastries, ideal if you would like to prepare meals in the apartment. Beach lovers will be delighted by the long stretch of sandy shoreline, and the selection of private and public beaches on offer. Those looking for an active holiday can enjoy waterskiing, diving, snorkelling, and a wide variety of other water-sports – if you would like any of these pre-booked for you, this is something we would be delighted to arrange for you. There are countless wonderful places to eat, to suit every taste– from local patisseries with a small café, to gourmet restaurants along the Croisette & in Palm Beach, overlooking the sea. The nightlife in Cannes also has something for everybody, including tiny cafés tucked away in the narrow cobbled streets of the Suquet, glamorous bars in the ‘Banane’, casinos and nightclubs. With its sun-soaked beaches, pristine port and elegant boutiques, Cannes is the most glamorous jewel of the French Riviera in the south of France. The impressive luxury yachts moored in the marina and the chic array of restaurants, shops and hotels create the sense of glitz and glamour that has become synonymous with the seaside resort, attracting an affluent and stylish set to visit each year. Cannes basks in the balmy Mediterranean climate all year round, making the resort an ideal location for sun seekers and people-watchers. The promenade of La Croisette is world famous, running alongside the shoreline of Cannes. Watch the world go by with a coffee break or a glass of wine on the boulevard or soak up the atmosphere with a jog along the coast. Or, make the most of the weather with a visit to the public beaches on the boulevard, like Plage Macé or Plage de Casino, which is close to the Palais des Festivals and Cannes Station. However you like to spend your leisure time, the views here are unrivalled, so don’t forget to take some photos! From restaurants to bars, clubs to casinos, there are countless things to do at night in Cannes. La Baoli, just off Port Pierre Canto is one of the most luxurious nightclubs in Cannes. Expect opulent décor, glasses of champagne and a celebrity guest list, especially when the Film Festival takes place each year in May. One of the most prestigious events in the calendar, the Cannes Film Festival has brought together international movie stars, directors and producers once a year since its establishment in 1946. Held at the Palais des Festivals, the annual red-carpet gala oozes elegance and fascination, watched on by spectators around the world. Not only does the Palais des Festivals hold the Cannes Film Festival, it also plays host to a series of congresses throughout the year, from the world’s property marketing in March to the luxury travel market in December, which is why a lot of our apartments are located in close proximity to the venue in La Croisette. All prices are subject to change until confirmed with booking. Prices are quoted in Euros. Prices for all categories excluding conferences are for a 7-day period from 2.30pm on the day of arrival until 10am the following week. Please contact us for details of rates for booking greater or less than a week. Airport transfers pricing available upon request. 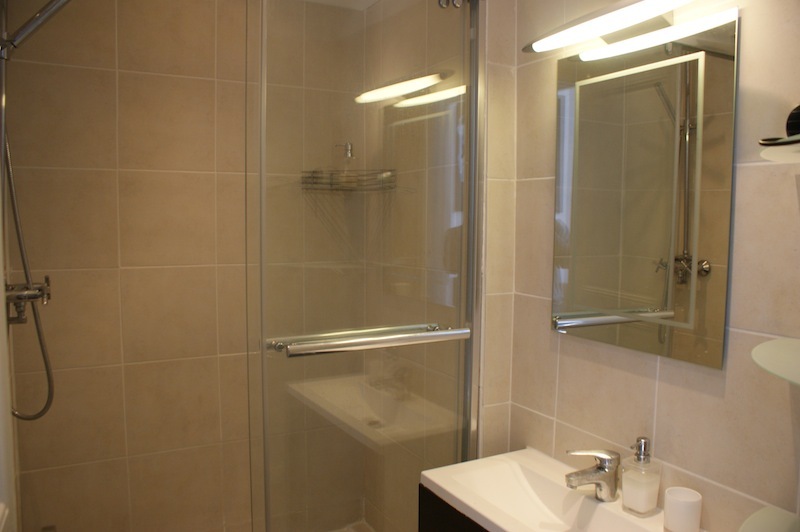 Please contact us for the current availability for this apartment. We ask guests to pay a 50% deposit to secure their booking, and the balance 6 weeks prior to arrival. Payment can be made by transfer to our French bank account, or cheque from a French bank account. You will be met and greeted by our agent on your arrival. Linen & towels are available at a cost of 25€ per person. Please bring your own beach towels. The rental price includes a final clean - a maid service for mid-stay cleans can be arranged, please ask for price information. A refundable breakages deposit of 500 EUR is required (upon final payment, or in Euros's to the agent on arrival), which will returned to you at the end of the stay if there is no damage and keys are returned safely. The apartments will be available from 2.30pm on the day of arrival, and departure is by 10.00am on the final day. However, we will do our best to be flexible. If you would like to stay in the apartment after 10.00am because you have a later flight home, a late check out can be arranged free of charge - as long as prior notice is given, and there is not a booking immediately after yours. 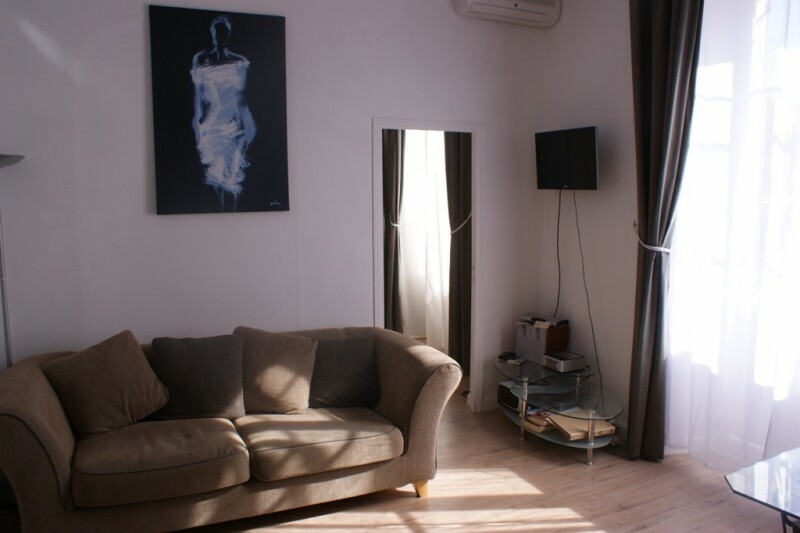 Cannes Rental Apartments is a Member of ABTA with membership number Y6524. ABTA and ABTA Members help holidaymakers to get the most from their travel and assist them when things do not go according to plan. We are obliged to maintain a high standard of service to you by ABTA’s Code of Conduct.